This could be interesting. 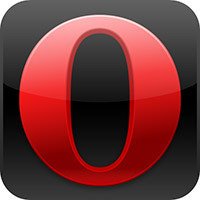 Opera has completed their new version of Opera Mini for the Apple iPhone (and the imminent iPad). It’s been submitted to Apple for inclusion in their App Store and could be available within days. Or perhaps not. 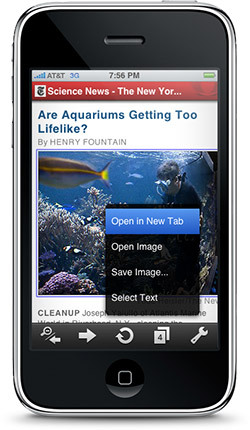 Opera Mini 5 for the iPhone looks almost identical to their browser on the Android, Symbian and Nokia platforms. It offers a range of features normally found in desktop browsers such as tabs, search, speed dial, and bookmark synchronization.The browser is also fast. Perhaps the best news for iPhone users is Opera Turbo; a facility which uses Opera proxy servers to deliver highly-compressed pages and images and increase download speeds. In Opera’s publicity video below, they demonstrate 5 pages loading in the same time it takes the iPhone’s native Safari browser to download just one.Unfortunately, the the new browser still won’t provide Flash on Apple’s device but, if I were Adobe, I’d hastily arrange arrange a few exploratory meetings with the Opera development team.The big question is: will Apple permit the Opera browser in its App Store? Opera competes directly against the Safari browser and Apple could argue that it doesn’t offer a seamless iPhone-like interface. They have rejected applications for more arcane reasons.I hope Apple doesn’t obstruct healthy competition and accepts the browser on their device. They certainly don’t want to incur the wrath of Opera users!